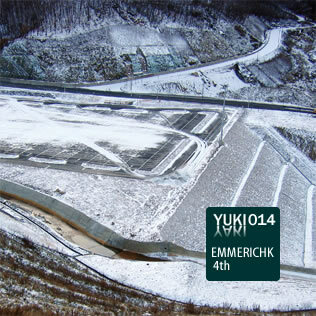 Simply titled "4th" - Emmerichk is back on Yuki Yaki. The aesthetics of the single sound, its destinctiveness and presence are more present than on its predecessor. But nonetheless, the sounds do not seem to be forlorn. Every track is its own microcosm of noise, click and motion. Always one leg on the dancefloor, the other in the lab, Emmerichk shows us his own definition of rhythm, groove and melody. An other great YukiYaki release. I will play these tracks in a minimal/chill session. one more time Emmerichk is delivering us an outstanding release. nice musical skill! incredible sound! it's not often that you find that kind of releases nowadays. felicidades m, está súper fino este nuevo release. Sweet new release! Keep it up!